This is my first time I wore a midi skirt, and I think I kinda like midi skirt. 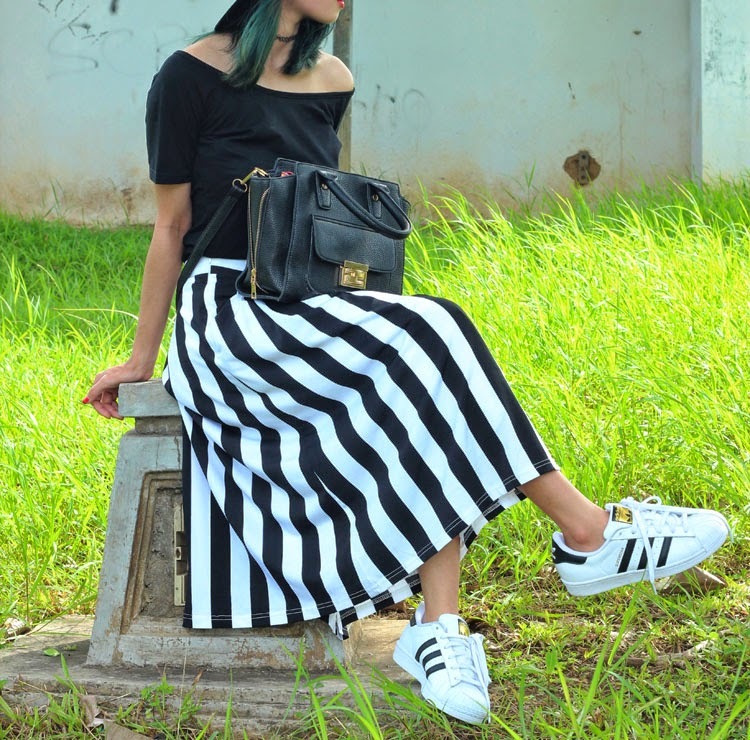 Actually it's a really really skirt but when I walk, its looks like a big pants, Since I'm sneakers addict now, I constantly wear my Superstar and look.. I feel so awkward with all my pose, it's looks like I'm dancing in the moonlight. Don't feel confused 'cause I kept changing the color of my hair again and again, lol. Now it's a green but slightly darker. Those snapshots are absolutely gorgeous, especially first one! Besides, you are splendidly got up, the outfit is comfy, yet stylish! You have wonderful taste in clothes, indeed. This look is amazing, so risky and trendy, I LOVE LOVE LOVE IT!!! I like this combination! You look awesome, cool sneakers! great outfit!! love your skirt!! Such great style you have ! Very pretty ! Always perfect, love the skirt!